Think end of life for your equipment means end of value? Think again. While most OEMs tend to focus on the forward motion of their supply chain, there is ample opportunity to harness revenue in the reverse motion with the right reverse logistics partner. 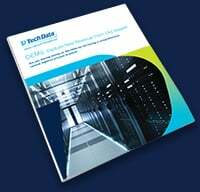 Learn how you can still recover value from obsolete equipment – and protect your brand – with this whitepaper.